It’s no secret that Bali, Indonesia is a haven for couples, surfers, and yogis, but what about things to do in Bali with kids? 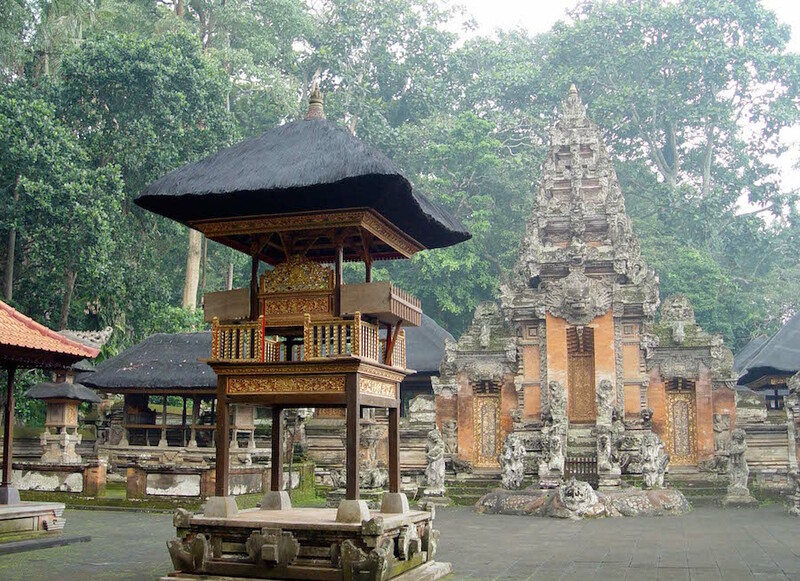 Bali offers inexpensive and spacious accommodation and, of course, a plethora of stunning sights. It also has an increasing number of family-friendly destinations, activities and services. Between the island’s water parks and theme parks, kid-friendly outdoor activities, and kids clubs at popular restaurants and lounges, your kids will be anything but bored, and you may just get some quality time with your significant other, too! Here are some of the best things to do in Bali with kids. Also read Bali’s Best Kids Clubs. Ranked the second best water park in the world and the best in Asia on TripAdvisor, Waterbom is definitely worth a visit. In addition to dozens of rides and attractions, the park has a number of dining outlets and a swim-up bar. They are open from 9am to 6pm every day and are only closed for Nyepi. 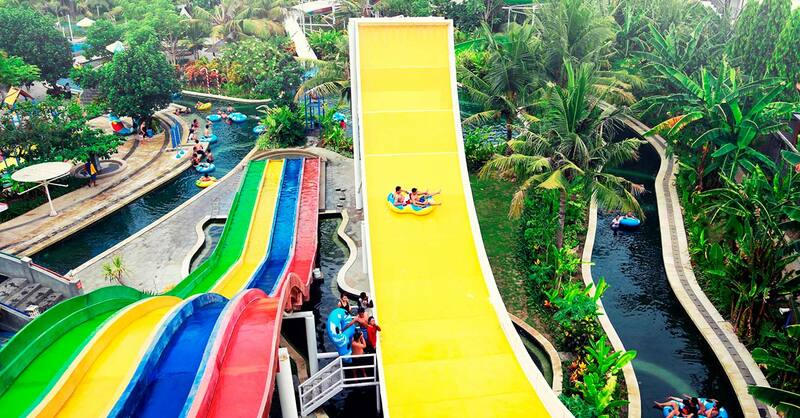 Circus Water Park was the first family water park in Bali and was named one of the 10 Best Waterparks in Asia in TripAdvisor’s 2014 Travellers’ Choice Awards. There are rides for both kids and adults; it’s especially good for toddlers and young children. 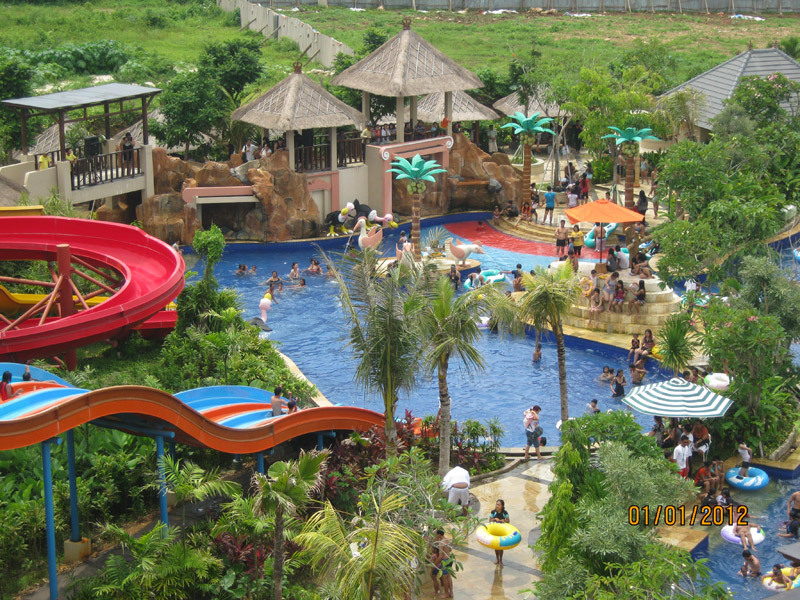 The park, located in Kuta, is open every day. You can find New Kuta Green Park at The Pecatu Indah Resort, which is about 45 minutes from Kuta. There are water slides, a wave pool, a lazy river, and several other attractions, as well as a food court. Canggu Club is one-stop family destination. Not only is there a waterpark with slides, there’s also an indoor trampoline centre, bowling, spa, fitness centre, tennis courts and kids club. Splash Waterpark has multiple water slides, a ‘Crazy Creek’ where you can relax on a float as you meander through the 102 meter water course as we all a Splash Playground dedicated to the little ones which has its own lagoon pool. If your kids love waterparks, why not stay at a resort that has not 1, but 2 outdoor water play areas for kids. 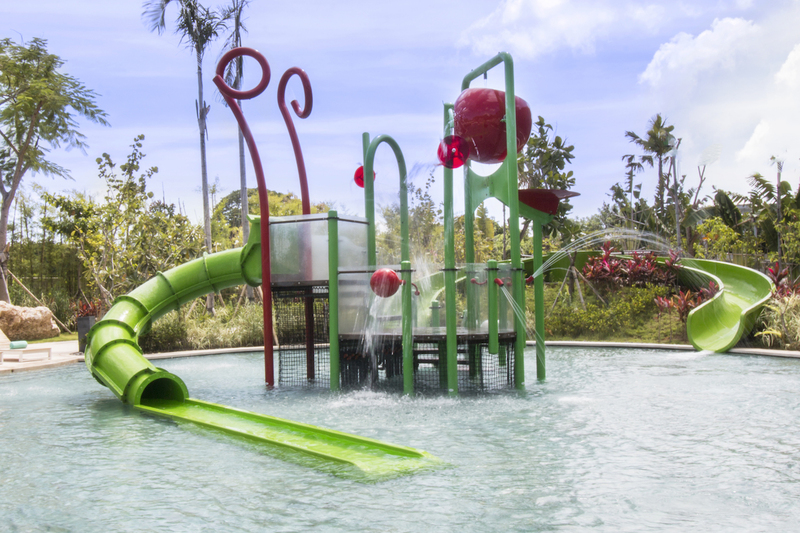 Movenpick recently opened in January 2017 in Jimbaran and it not only has water slides and a splash pad with spraying water, it also has one of Bali’s best kids club, an outdoor playground and a kids corner in the all-day restaurant making it a hotel kids won’t want to leave. Movenpick Resort & Spa Jimbaran Bali: Jl. Wanagiri No.1, Jimbaran, Kuta Sel., Kuta Selatan, Bali 80361, Indonesia. Check rates. 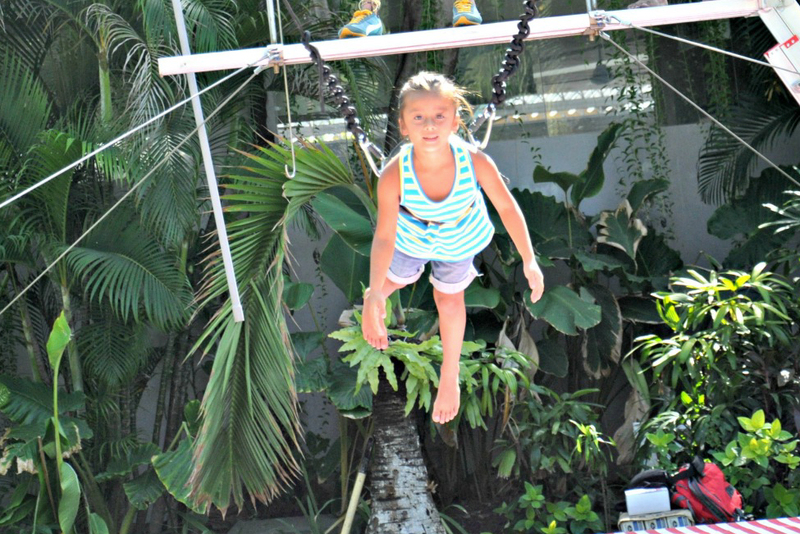 If your little one likes adventure, bring them to High Flyers Bali where kids can experience the fun of swinging from a trapeze. Classes are held six days a week (closed Sundays) and cost IDR450,000 for a single lesson which lasts about 75 minutes. There is also a Circus Workshop two days a week and a Bungee Trampoline. Bali Sea Turtle Society, or BSTS, works to protect endangered sea turtles. One of the things BSTS does is relocate sea turtle eggs from the beach to a hatchery to protect the eggs and increase hatching rates. 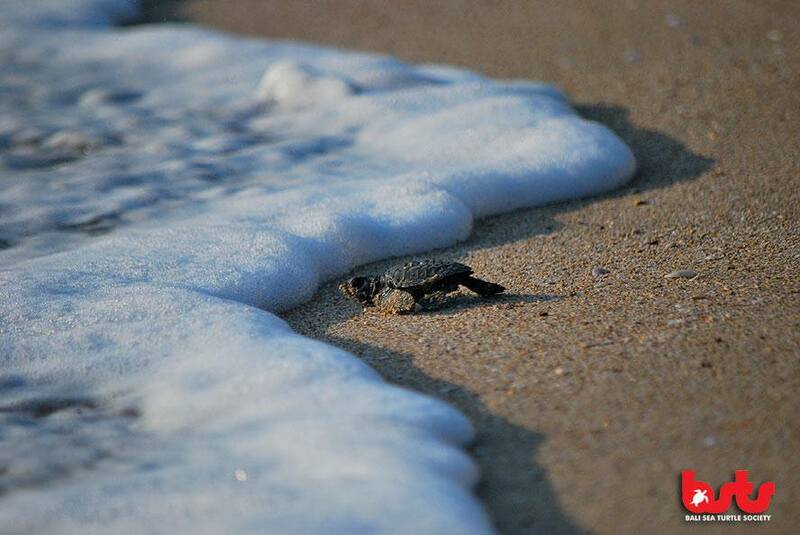 When the baby turtles hatch, they are released back to the sea. Sea turtle nesting in Kuta starts in March and ends in autumn. Volunteers, including kids (who get priority), help search the beaches in and near Kuta for nests and then transport the eggs to the hatchery. Each volunteer gets one baby turtle in a container and then everyone lines up on the beach to release them at the same time. Check BSTS’ Facebook page to find out when they will release sea turtles (they release almost every day in July) and when you should arrive. BSTS is located on Kuta beach next to the Grand Inna Kuta near Hard Rock. Stroll through beautiful gardens, check out fascinating exhibits, and see a wide variety of butterflies at Bali Butterfly Park, a butterfly and insect conservation facility. The park is small and may not be in your guidebook, but visitors rave about it. The park is located in the village of Wanasari, which is 6.5 km north of the Tabanan regency’s capital and 30 km northwest of Denpasar. Monkey Forest is a must-see in Bali. The site, which covers 12.5 hectares of forest, is filled with around 700 monkeys, 186 species of trees, and three temples which were built in the 14th century. Hold on to your bags, the monkeys can get a bit feisty. Yes, not only is there an equestrian centre in Bali but it is world renowned for its instruction and horses. For kids, the centre offers pony rides, pony parties, day camps, and lessons for all ages and abilities. 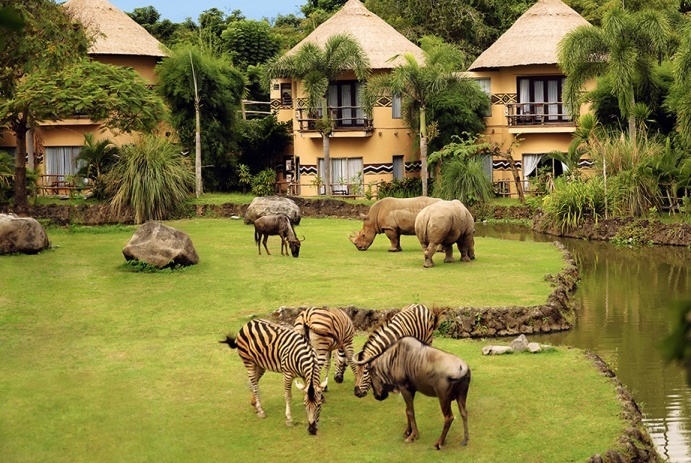 Yes, you can take a mini safari in Bali! 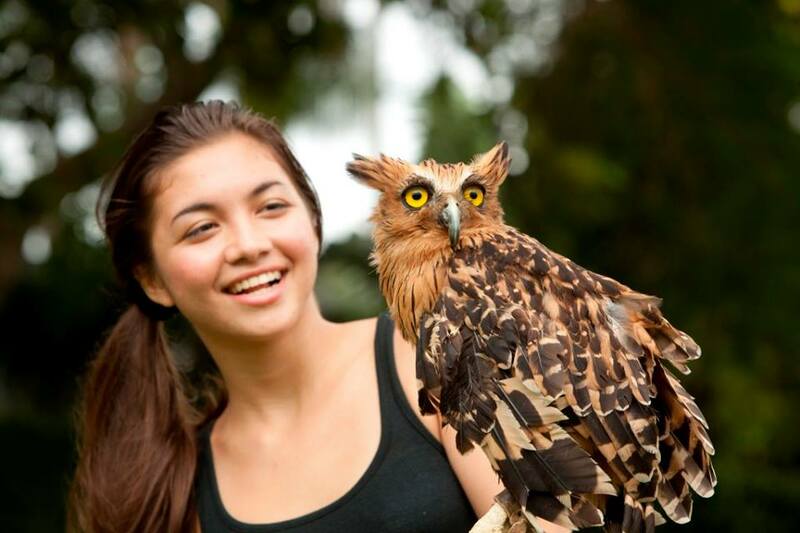 Bali Safari and Marine Park is home to animals from Indonesia, India, and Africa. 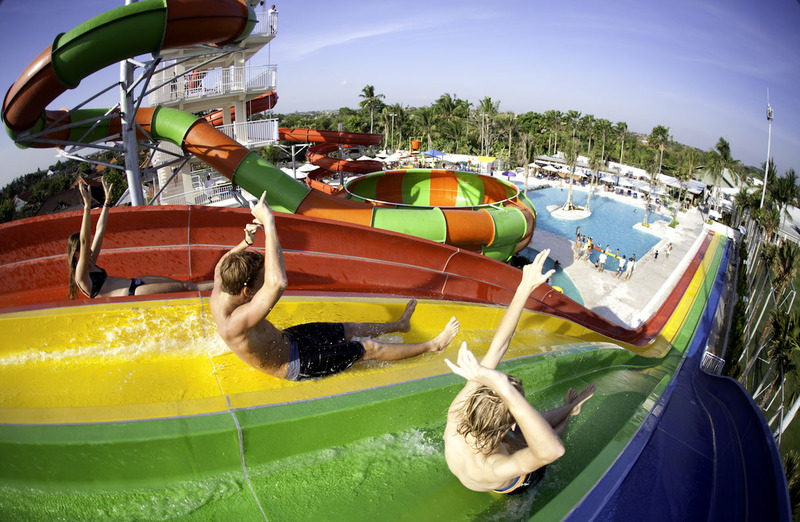 There is also a water park with pools for adults and children and several water slides. For those that want even more time with the animals, you can stay at the Mara River Safari Lodge, themed resort with views of the park’s wildlife. If feathery and scaly creatures excite your kids more than furry ones, head to Bali Bird Park & Reptile Park, which has almost a thousand exotic birds from the Indonesian archipelago and around the world. The park is divided into seven regions that recreate the natural habitats of our birds, along with indigenous plant life. 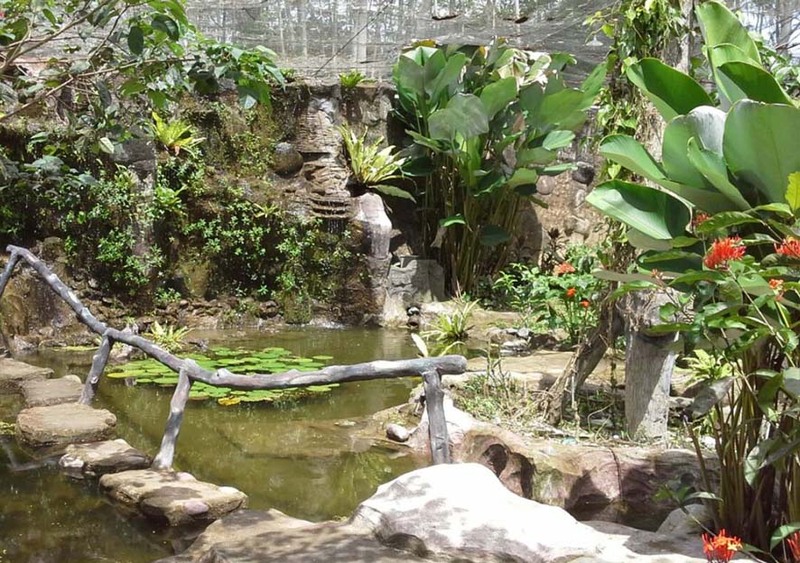 The adjoining Reptile Park features a variety of reptiles and amphibians, including a giant Komodo dragon, pythons, lizards, geckos, toads, frogs, turtles, tortoises, and crocodiles. Miniapolis Bali is an indoor playground located at Beachwalk Shopping Centre in Kuta. Inside the playground, kids can climb on structures, ride on tricycles and play pretend inside mini houses. Its location inside Beachwalk, is ideal for the whole family as there is a foodcourt opposite in the indoor playground, a daycare center (Cheeky Monkey) and a shop full of arcade games for older kids. The daycare center also provides access to Miniapolis. Peek a Boo is a children’s playground in Sanur for families and kids under 10 years old, with baby and toddler play stations. There is also an air-conditioned café for parents to relax in while they watch their kids play. Bring your own socks or purchase them at reception. Kidsworld is a larg inflatable play centre for kids from one to 12 years old. There is a seating area in the middle of the action for parents to keep an eye on their kids. The littlest ones have their own fenced off area with a mini ball pool, tricycles, and toddler-sized cars. And if the older kids want a break from the inflatables, there is a trampoline and Playstation game room. With the place starting to show its age, it’s a great place to go if you’re in the area. The BCAC offers classes, courses, workshops, and seminars to people interested in discovering or extending their artistic creative talents and skills. They offer kids art classes and workshops and host a group class for kids every Saturday from 10am to 1pm. 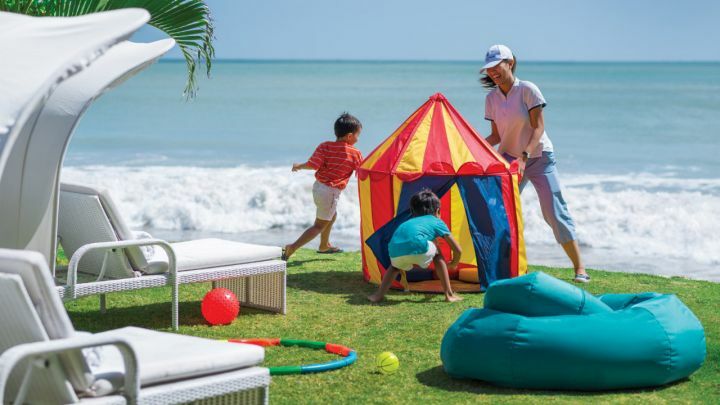 If you’re looking for one of Bali’s best kids clubs in the middle of the action, look no further than Four Points by Sheraton Kuta. 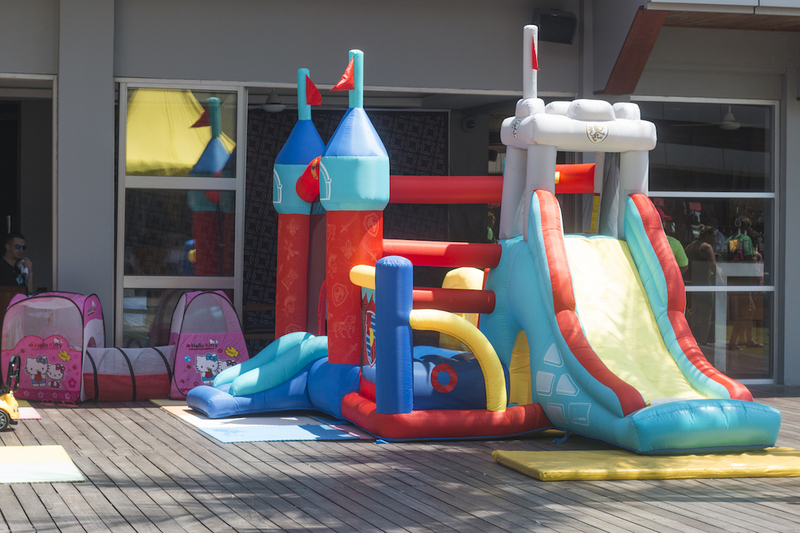 Not only does the kids club have climbing structures, a ball pit and a slide, there are also lots of toys and activities to keep the kids occupied for hours. They can cook in a play kitchen, shop at a pretend fruit stall, play with puzzles and blocks and there’s even a play area for babies with baby appropriate toys. Throughout the day there are optional activities including the chance to dress up in Balinese attire, pizza making and lots of different crafts. 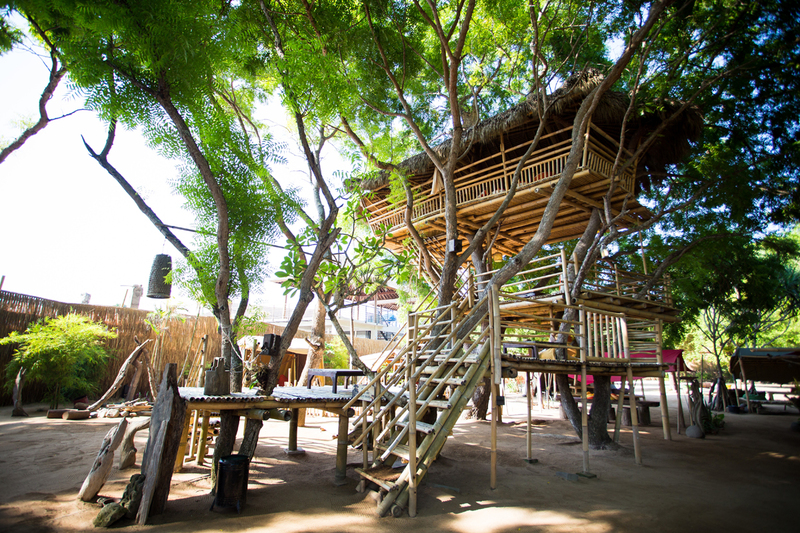 This is one Bali kids club the young ones won’t want to leave. Bale Ddang Mang Entging Kuta is a beautiful Indonesian restaurant where you can eat in little huts next to an oversized fishpond. While parents will love the food, kids can enjoy the onsite covered playground. Live out your pirate fantasies at Pirates Bay, a pirate-themed open-air café and restaurant located on the Nusa Dua peninsula. Pirates Bay has a replica pirate ship, several tree houses, a lookout tower, a pirates’ kitchen, treasure hunt activities that you can do as a family. The restaurant is open Monday through Saturday from 10am to 11pm. Located at the Four Seasons Resort Bali Jimbaran Bay, Sundara offers beautiful sunset views, excellent food, signature cocktails and a 57-meter infinity pool. And good news, parents: you can bring the kids along. Sundara has a kids club which is situated right next to the club, and the restaurant has a kids menu, too. Just pay for use of the kids club if you aren’t staying at Four Seasons Bali Jimbaran. Situated in the beautiful cove at Karma Kandara, Karma Beach Club offers snorkeling, stand up paddle boarding, sea kayaking, or just lounging on a day bed. 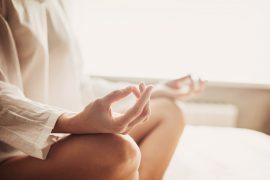 Visitors can also get a massage or beauty treatments at Karma Spa. 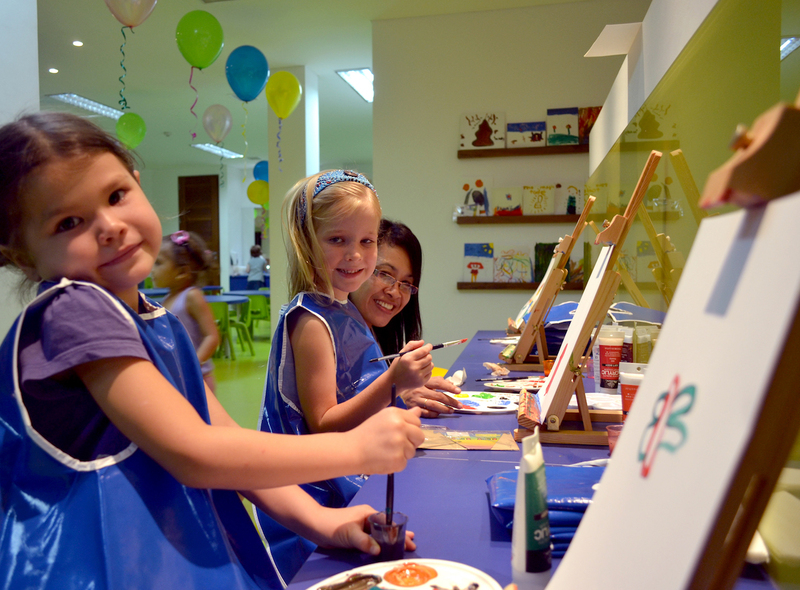 The Three Monkeys Kids Club at Karma offers activities for kids of all ages. 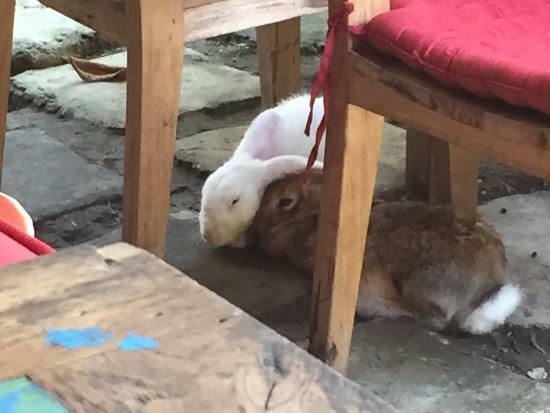 For some impressive cocktails and food—with a side of bunny—head to Maha Restaurant in Ubud. The restaurant is near the Monkey Forest and makes a great relaxing stop after. There are a dozen or so rabbits that hop around Maha’s garden, providing great entertainment for the kids (and adults)! Located on the shores of Batu Bolong, Canggu, The Lawn offers casual fine dining with fantastic views. Kids can frolick on the grassy areas and kick back on one of The Lawn’s many bean bag chairs. 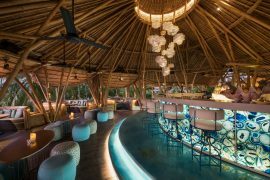 Seminyak’s Ku De Ta is one of Bali’s premier beach clubs and on Sundays, the club caters to families. There is an inflatable slide and bouncy castle, balloons, magicians, and organized activities such as face painting and crafts for the kids, as well as a healthy kids lunch menu. The kids’ events take place from 11am to 3pm. 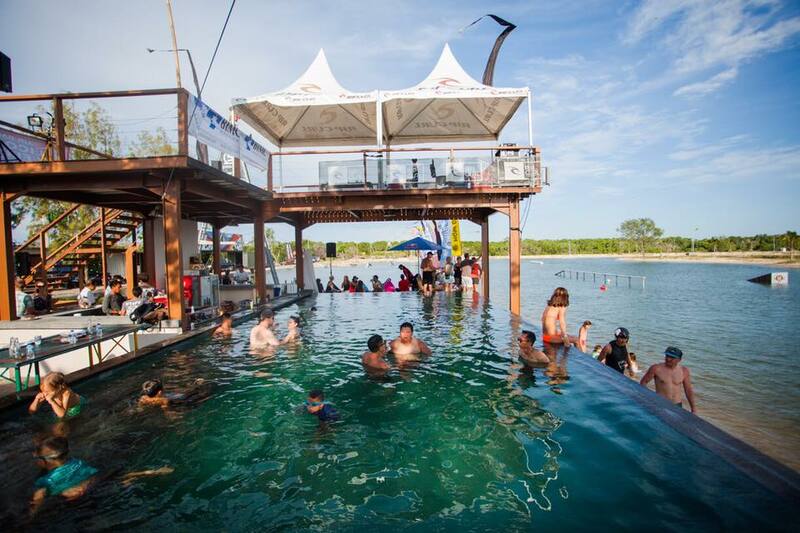 Canggu Club is a huge entertainment and sporting venue located in the rice fields of Canggu. They have a water park, trampoline centre, fitness centre, tennis centre, spa, sports bar, several restaurants, and a kids club. 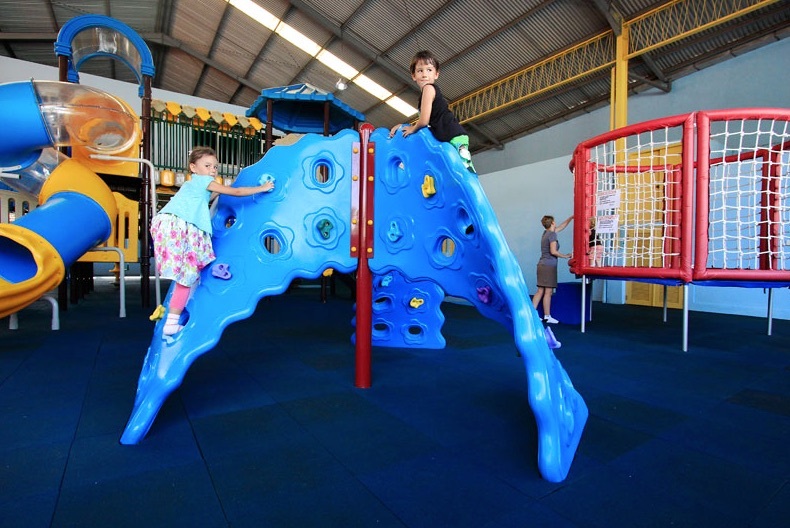 Parents can drop off their kids at the Cubby House Kids Club, which is available to kids between two and 12 years old. Cubby House has a ton of quality toys and activities to entertain kids. Two to four-year-olds have their own area to play and are accompanied by staff members. Older kids can play Wii games, watch movies, play on computers, play dress up, and do arts and crafts. Cheeky Monkeys offers daycare services in Bali, where they will entertain and educate your child whether you drop them off for a couple hours or the full day. They have 3 locations in Kuta, Nusa Dua and Sanur. 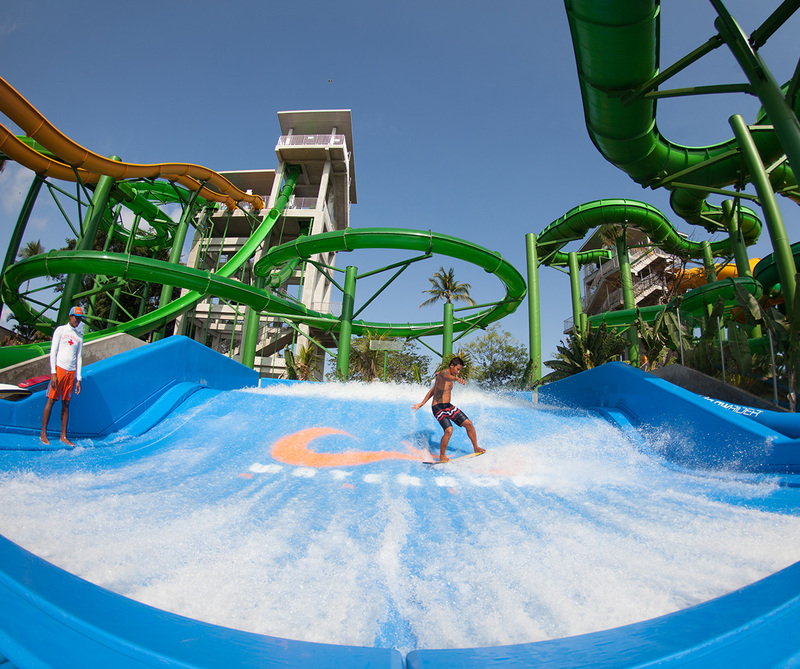 The Kuta location is inside the Beachwalk mall and allows access to the neighbouring Miniapolis indoor playground. The Nusa Dua location is inside Sofitel Bali Nusa Dua while the Sanur location is also their head office. There are multiple nanny services in Bali where you can hire someone to help with your kids during your vacation in Bali. One popular option is ‘Bali’s Best Babysitting and Nanny Services‘. All of their nannies speak english, are trained in first aid and CPR and can swim. You can book a nanny for between 4 to 12 hours per day.